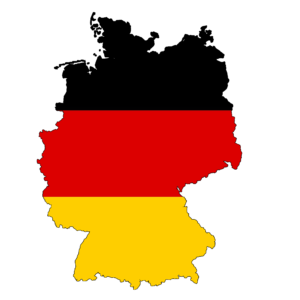 According to GfK Temax, in the fourth quarter of 2018 the German technical consumer goods market increased by 1%, compared to the same quarter in 2017. The market was affected by the negative growth trend in CE and IT, but also other sectors, e.g. Major Domestic Appliances, continued its slight decline. However a positive growth was observed in Telecom and SDA sectors. The TCG market in Germany generated revenue of €17 billion in Q4 2018 and €59 billion during the full year 2018. Built-In hobs showed the strongest growth rate of all MDA product groups. The development was driven by hobs with integrated hoods. Cooling devices grew in Q4 2018 compared to the same period of the previous year, probably affected by the unusual warm fall and December 2018. Compared to Q1-Q3, the SDA market shows the highest growth in Q4. Especially in November there was a binary growth rate driven by Black Friday sales. Vacuum cleaners continue to be the growth drivers. Rechargeable handstick vacuum cleaners and robots vacuum cleaners show even a higher growth in Q4 than in the previous periods. Whilst the development for Q1–Q3 was negative for hair stylers, this segment increased its revenue in Q4 2018 compared to Q4 2017. Thanks to strong sales in November, especially during the Black Friday/Cyber Monday week, TV could grow again in value during Q4/2018 vs Q4/2017. In correlation with the good TV sales, the demand in quantity for loudspeakers, especially soundbars, did grow. But as the average price fell considerably, this did not translate into a higher retail turnover. Compact System Cameras beat its year-on-year results in sales and revenue. CSC Lenses gain from the positive trend of the CSC dedicated cameras. As regards to the monitors, the turnover continued its growth trend, driven by curved and gaming monitors. Besides, convertibles and UltraThin notebooks continued their increase. The turnover growth of the gaming keyboards was positive in the last quarter of 2018. The overall contribution of the Telecom to the overall Temax index continues to increase in the October to December 2018 period. Telecom accounts for nearly a quarter of the overall Temax sales value in Q4 2018 and is the second largest product group after Information technology in Germany. Within that, smartphones accounted for very robust value growth year on year. That is associated with shifting consumer demand for premium priced products and as part of that to large screen smartphones. These large screen smartphones with minimum 5.6-inch screens more than doubled their revenues. Besides, the headset continues showing double-digit growth together with the core wearables. Тhe scanner market shows robust growth. This is due to the high demand of document scanners. The important sector of multifunctional printing devices also increased in value generated. The overall MDA market is declining in terms of turnover. In particular, the turnover generated by hoods was strongly decreasing as hobs with integrated hoods were on the rise. Besides, due to the warm weather in Q4 2018 tumbledryers showed declining sales figures. Irons show a negative development in Q4. Traditional steam irons are declining as well as generators and integrated boards. In-car electronics, included car audio & navigation systems, showed the strongest relative turnover decrease. Also in Home audio many mature categories like receivers and compact systems were down double digit. Imaging market suffered a drop in revenue of around 7 percent. Consumer security software continues to decline as a result of decreasing computer sales. Desktop computers recorded a decline in the fourth quarter, and notebooks and media tablets decreased in value terms as well. Serious double digit year on year decline in the standard screen smartphone segment with smaller than 5.6-inch screens continues. Overall, December sales were weak, due to a sales shift towards Black Friday. The demand for inkjet cartridges declined due to the decreasing number of installed inkjet printers.